Inspired by the mind expanding sounds of the '60s, Send Medicine began as the solo project for Toronto based singer/songwriter Julian Hacquebard in the summer of 2012. 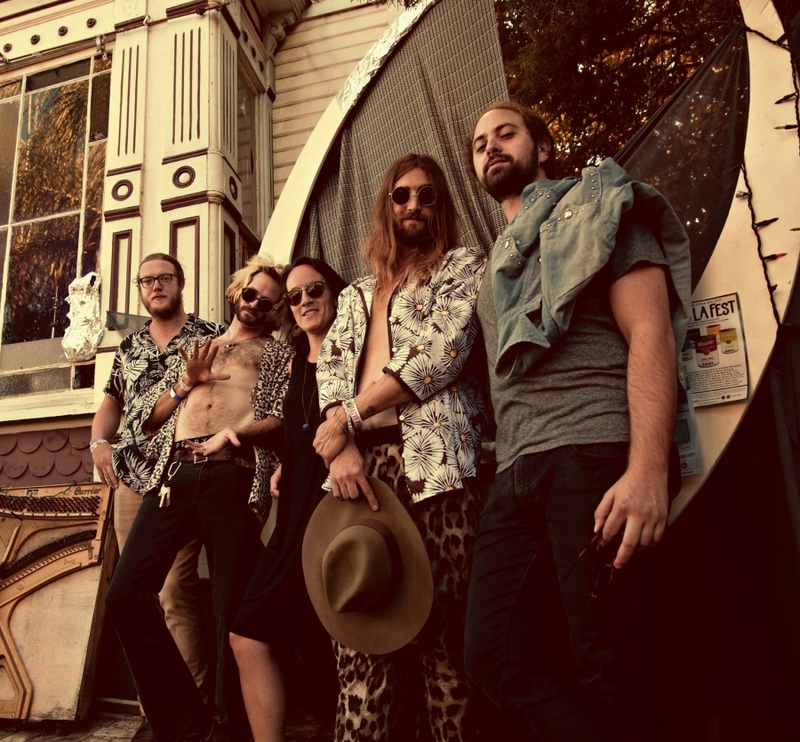 Now based in Los Angeles and expanded to five members, the band, in last year's debut album "Scary Aquarius Daughter" honed a sound that updates psychedelic folk to the current times. They just landed a prestigious residency at the Satellite for the month of June, starting on the 5th. Check out their latest single 'Translucent' (streaming below). If you are into guitar pedals, check out this feature where Julian Hacquebard on our sister blog Delicious Audio.